Ease Gill Kirk is a steep sided limestone gorge found towards the lower end of Ease Gill before it joins with Leck Beck. For the most part the gorge is dry, only after a prolonged period of heavy rain does the waters of Ease Gill make it as far as Ease Gill Kirk. On both my visits it has been ‘dry’. 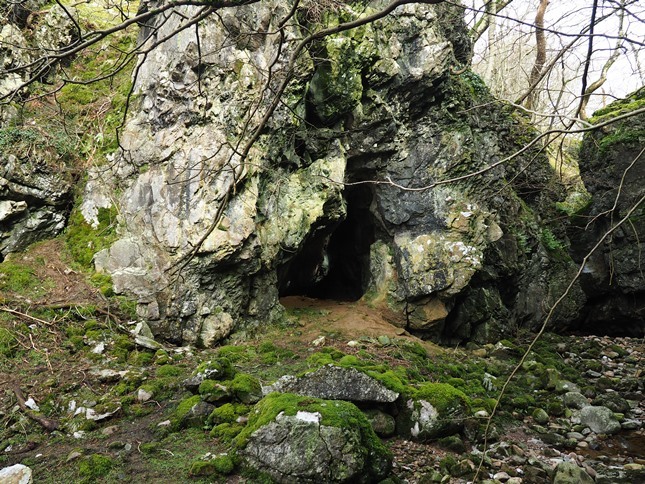 Care still does need to be taken when exploring the bottom of the gorge as the ground is covered in slippery, mossy rocks. Care also needs to be taken getting down into the gorge. There are a couple of options, one of which involves scrambling down a dry waterfall. The best bet is a steep narrow path descending directly down. For those who don’t want to risk it the views from above are still worth taking in. 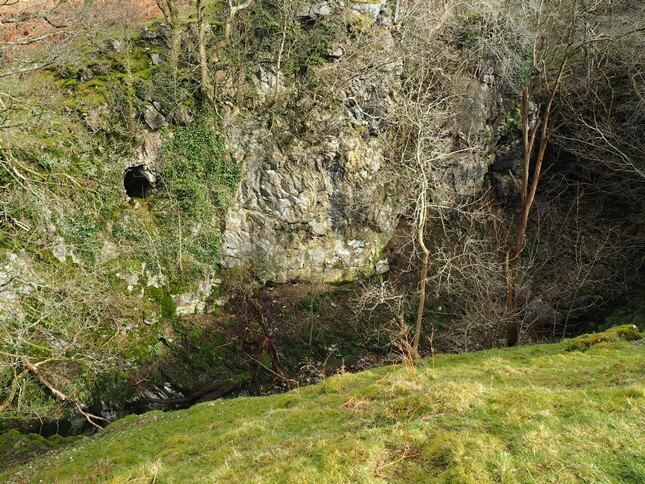 Those who do go down in to Ease Gill Kirk will discover one of the most atmospheric places in the Yorkshire Dales. 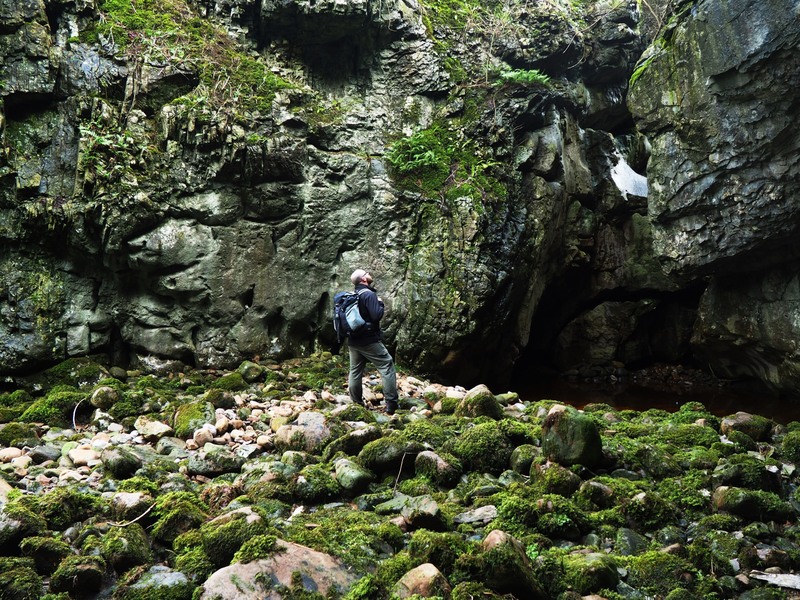 In addition to the dry waterfall the Kirk is also pitted with small caves, none of which I’ve done more than peer through the entrance of. 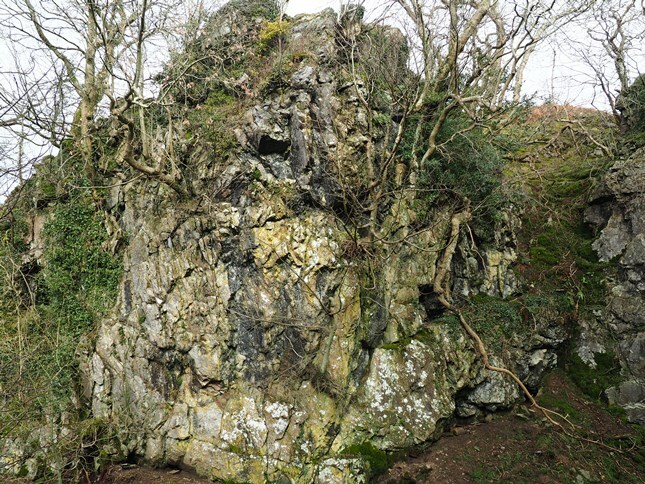 Also of interest are the trees and vegetation growing on the sheer sides of the gorge.